ABC received as much as $300,000 per 30-second spot for The Conners' season premiere. 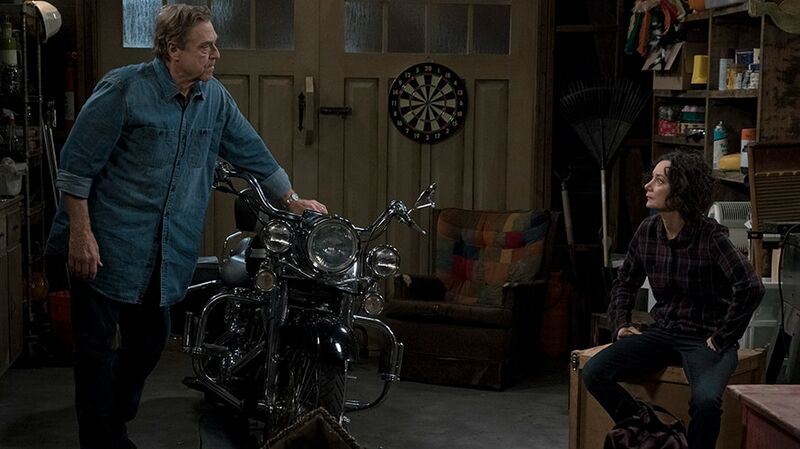 ABC expected that a lot of curious viewers would watch last night’s premiere of The Conners to see how the show had written off Roseanne Barr’s character. The network was right: the Roseanne spinoff had the biggest 18-49 demo rating of the night, though its ratings were nowhere near the Roseanne revival’s huge debut last season. UPDATE: In Nielsen’s final ratings for Tuesday, The Conners was watched by 10.6 million total viewers, and had a 2.4 demo rating. That edged out the usual demo champ This Is Us, which had a 2.2. It also now has the biggest debut for any new broadcast series this fall, beating out NBC’s Manifest, which premiered to 10.4 million and a 2.2 demo rating last month. However, time slot competitor NCIS drew more total viewers: 11.7 million. The 2.4 demo rating ties The Big Bang Theory’s season premiere for the No. 1 comedy broadcast this season. But the show’s numbers didn’t come close to the Roseanne revival’s gargantuan debut in March: that show had an audience of 18.2 million viewers and a 5.2 rating in the 18-49 demo, making it the most-watched comedy telecast in more than three years. Roseanne went on to lead all entertainment shows last season with a 5.3 C7 rating. The Conners’ ratings were on par with the revival’s finale in May, which pulled in 10.6 million viewers and a 2.5 in the demo. Had Roseanne returned as originally planned, it’s likely that show would have debuted to similar numbers. ABC fired Barr in May, two weeks after celebrating her and the show at its upfront, following a racist tweet, and a few weeks later announced a Barr-free spinoff, with the rest of the Roseanne cast returning. After four months of silence—and an enigmatic marketing campaign that leaned into the widespread curiosity about the character’s fate—The Conners’ Tuesday night premiere revealed how the show wrote off Barr’s Roseanne Conner (Adweek explained why you should keep watching the spinoff, which doesn’t miss a beat without Barr). Ad buyers fully expected that curious audiences would tune in for Tuesday’s premiere—where ABC got as much as $300,000 per 30-second spot—but several were taking a wait-and-see approach for the rest of the season, waiting to see how many would stick around for subsequent Conners episodes. The Conners’ later debut—four weeks into the new season—wasn’t due to the delay in pulling together the spinoff, but ABC’s commitment to air the American Music Awards on the third Tuesday of the season, which would have disrupted its Tuesday schedule. “That strategy was in place already,” prior to the Roseanne-Conners switcheroo, ABC president Channing Dungey told Adweek.